Joint HealthTrec Glucosamine - 180 kaps. Trec Glucosamine - 180 kaps. Support your joints! Providing adequate amounts of glucosamine compensates its deficiency and triggers the production of synovial fluid, which is necessary for the proper functioning of the movement. TREC GLUCOSAMINE is a product containing high quality glucosamine sulphate, which supports the proper functioning of joints. This substance is an essential structural component of cartilage, tendons and ligaments. In people exposed to overload due to active lifestyle, obesity or old age, the demand for this component. 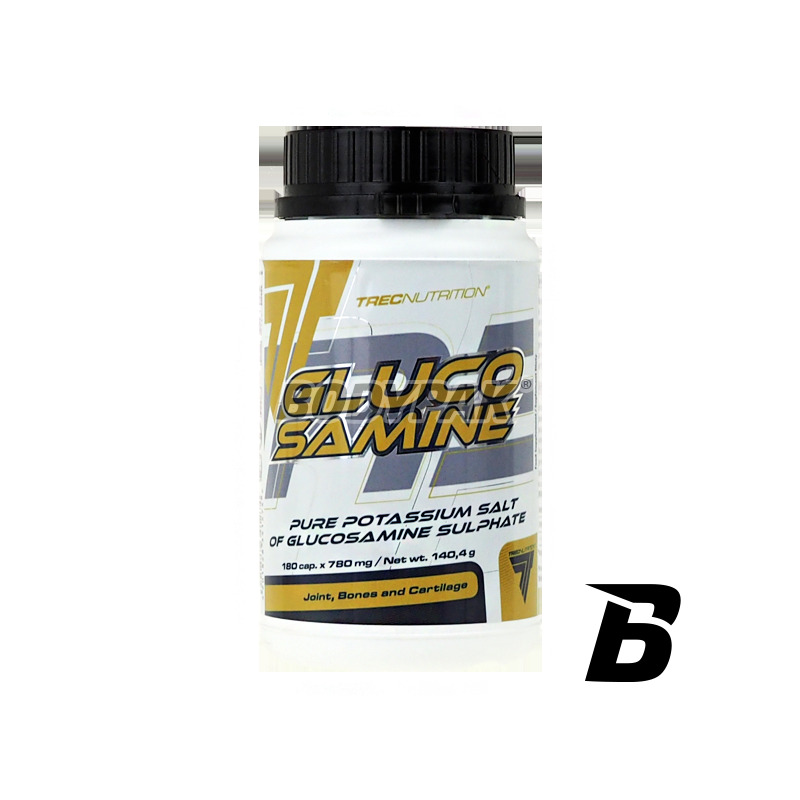 GLUCOSAMINE supplements glucosamine deficiencies in the diet, supports the regenerative processes of the cartilages and protects all elements of the locomotor system. Providing adequate amounts of glucosamine compensates its deficiency and triggers the production of synovial fluid, which is necessary for the proper functioning of all human joints. Glucosamine are natural substances found in the skin that have the ability to bind water in the epidermis, forming a kind of "movie" on the surface of the skin - making it more flexible. They protect in this way the skin from cracking, which is often manifested in the form of stretch marks. Besides, it was demonstrated that this compound is useful in treating wounds, skin irritation and skin inflammation. What can be achieved using TREC GLUCOSAMINE? 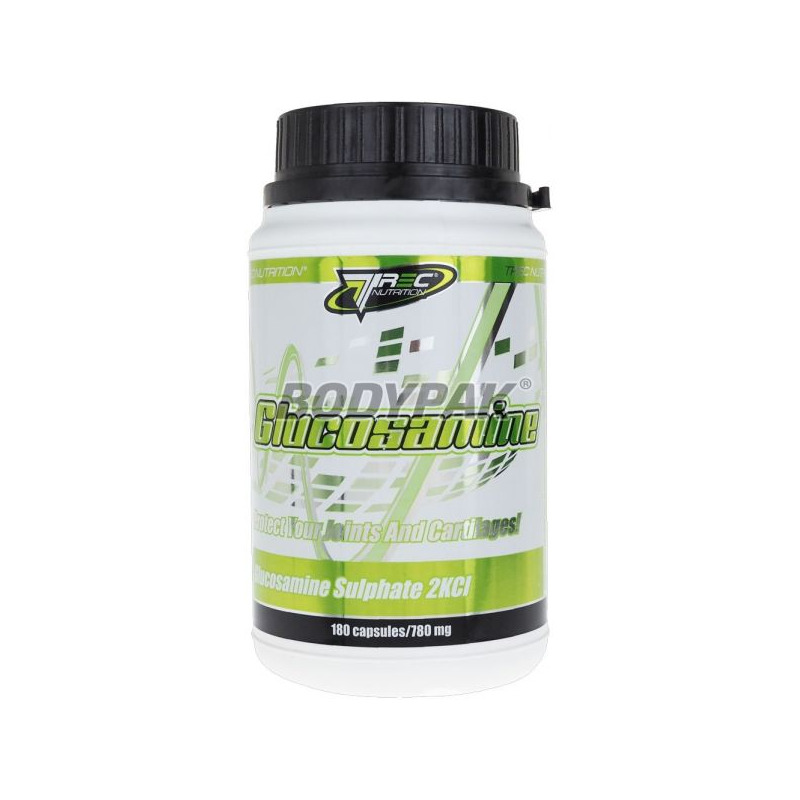 The systematic use of glucosamine sulfate accelerates the regeneration of articular cartilage, and in the states of significant load prevents injuries. As an all-natural product can significantly reduce the risk of injury in sports (and elsewhere). 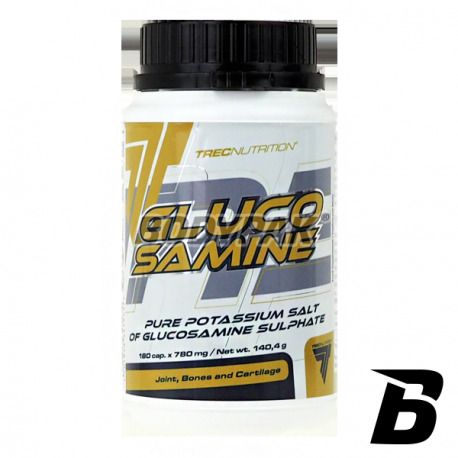 TREC GLUCOSAMINE - FOR YOUR HEALTH joints and tendons! The recommended daily allowance is 1 capsule 3 times a day, preferably immediately after a meal. Drink preparation approx. 300 ml of water. Składniki: Sól potasowa siarczanu glukozaminy (83,3%), substancja przeciwzbrylająca - sole magnezowe kwasów tłuszczowych, otoczka kapsułki (żelatyna, barwnik - dwutlenek tytanu). Szkoda że nie pomogło na moje wiecznie bolące kolano, będę próbował innych produktów, ale tego nie polecam..